Trail Description: Separated trail along an abandoned railway. 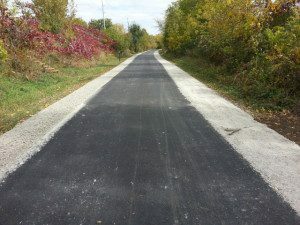 Connect C ave and Blairsferry Rd in Cedar Rapids to Boyson Trail in Marion. Trail is a 10′ paved trail with 3′ gravel shoulders on each side west of Lindale Drive, gravel trail east of Lindale Dr.